This bibliography records Hilary Putnam’s contributions to mathematics, logic, their philosophy, and related matters. Needless to say, the border between those works that, strictly speaking, address logic and mathematics, and those that address other areas of philosophy, is fuzzy when dealing with a philosopher as systematic and as wide-ranging as Putnam. Thus, we have had to make some decisions – decisions that might not be the same decisions that the reader would have made if given the same task. For example, we have included many (but not all) of the more philosophical papers on truth, but have only included papers on confirmation when they directly address mathematical or logical, rather than scientific, issues and concerns. 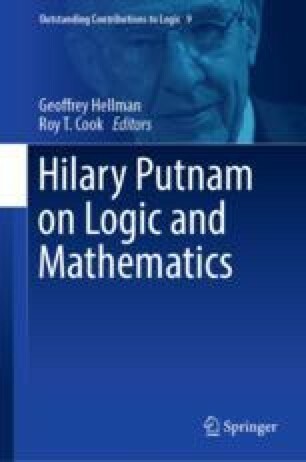 Nevertheless, we hope that this bibliography will be useful to readers interested in Putnam’s extensive and important work in mathematics and logic.